Mmmmmmm…. The Queen of Soups is back! You can never go wrong with a soup in my life. What about you? 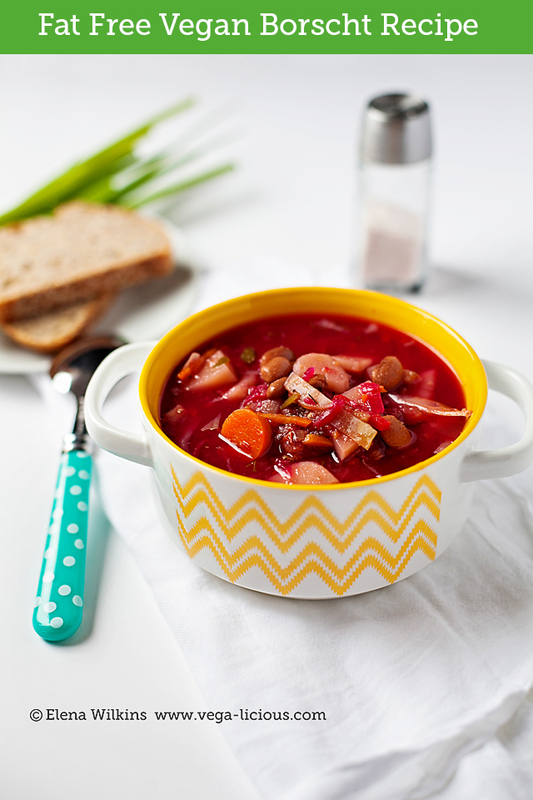 Today I bring you one of my absolute favorite soups–borsht! I’ve been eating it since my childhood! Every time I make it I take a trip down the memory lane. I treasure the memory of my Mom making it for us when we wee things, running around. It was the first ever food I remember making as a child–I was only six years old when I cooked it alongside Mom, but in my own small pot. To this day I find that no one can make borscht as well as my mother, and I think it is not just because she is my Mom. 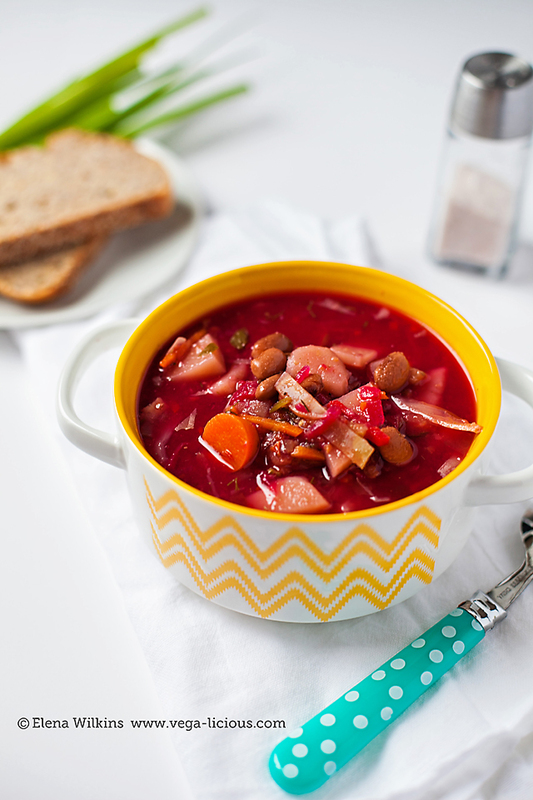 She is a full blooded Ukrainian and she perfected her borscht making skills since her childhood. One thing that I distinctly remember from childhood is that Mom loved to add beans to her borscht, but we, kids, hated it, so we would beg her to leave the beans out. It was not until I became vegan and appreciated the taste of beans that I began to add them back to the mix. 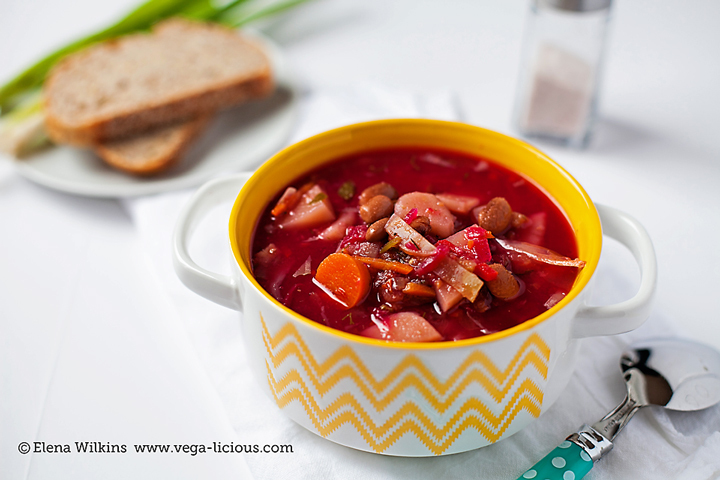 When my Mom found out, she was beaming with joy and now she makes her borscht the way Ukrainians love to make it–with beans! It is the best way. Even Sprout love it! Today she had two servings of borscht with beans and licked up every drop from her bowl. Now, a little interlude, because I am a stickler for details. For whatever unknown reasons Americans call this soup borsht–I shall never find out why. The right way to say it is BORSCH. There is no T in it! However, I know how people google it–with the T, so, I must be a smart blogger and comply with the tradition of this land. But remember–if you ever say BORSCHT around me–you are dead to me! 🙂 Ok, I am not that drastic…but you will be! 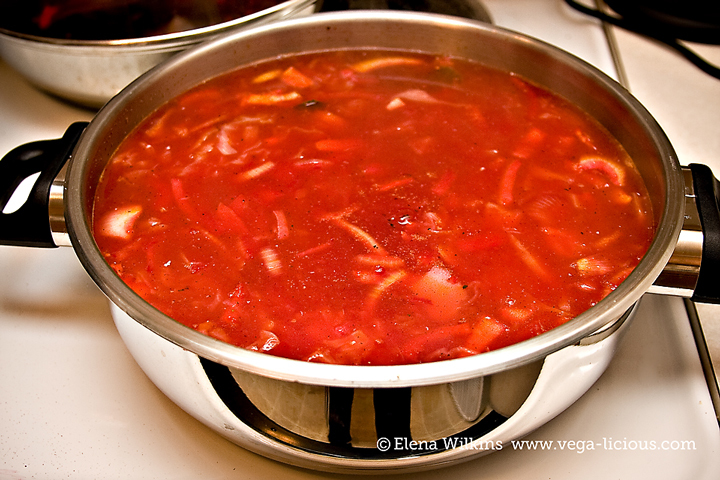 If you ever made borscht, you will notice that my recipe is slightly different than the traditional Russian/Ukrainian borscht recipes, and it is not only because it is vegan–it is also fat free, and is a one-pot dish. 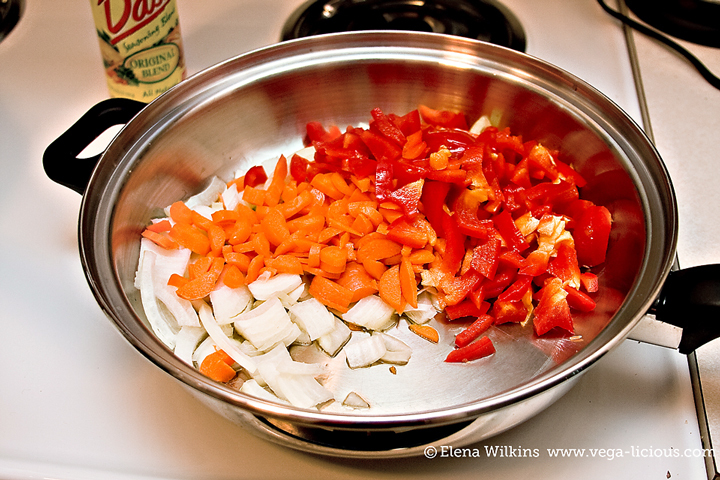 I used to sauté some of my veggies separately from the others in the past, but with time I figured out I was only doing it because my mother did it that way. (talk about how traditions can influence us even subconsciously!) Browning onions separately does add a great dimension to the soup, however, it is not a necessity, and, since I am not using oil, although it is possible to still brown onions, the taste is slightly different, so it is easier to skip this step altogether and end up with fewer dishes to wash. 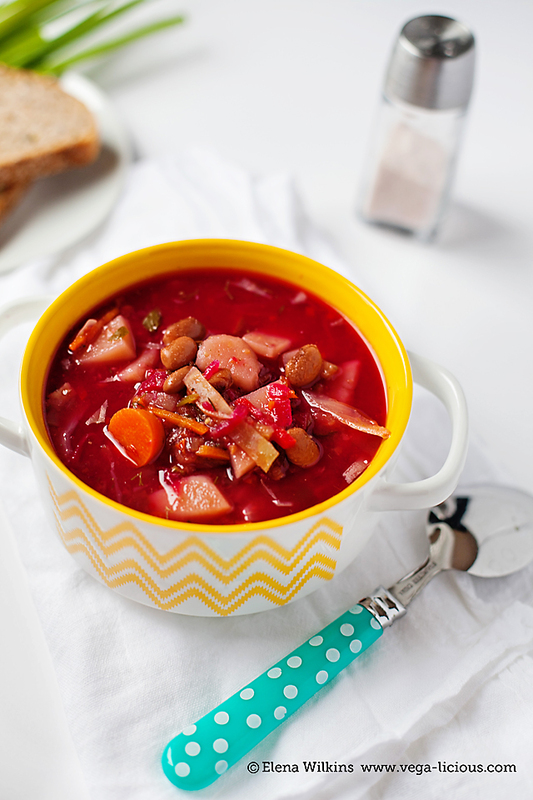 If you never tasted borscht, you are in for a treat–you will love it. You will also find out that the taste of it gets better the longer the soup sits (refrigerated, then reheated). For that reason, I love to cook it until potatoes and beans begin to fall apart–it makes borscht creamy and hard to stop eating. Pin it, make it, and let me know what you think. We, Slavs, love our borscht with a spoonful of mayo. 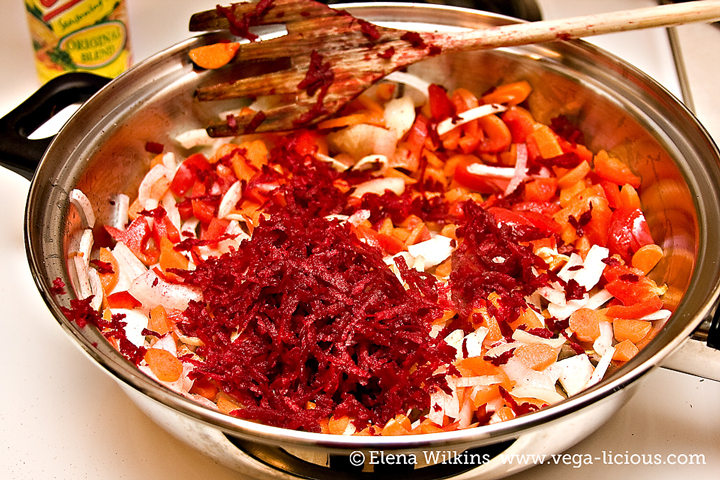 If you decide to use vegan mayo, borscht will no longer be fat free, but it will be oh so good! *add more if you like thinner soup like I do--I live for broth! Borscht tastes great even on the second and third day, reheated.